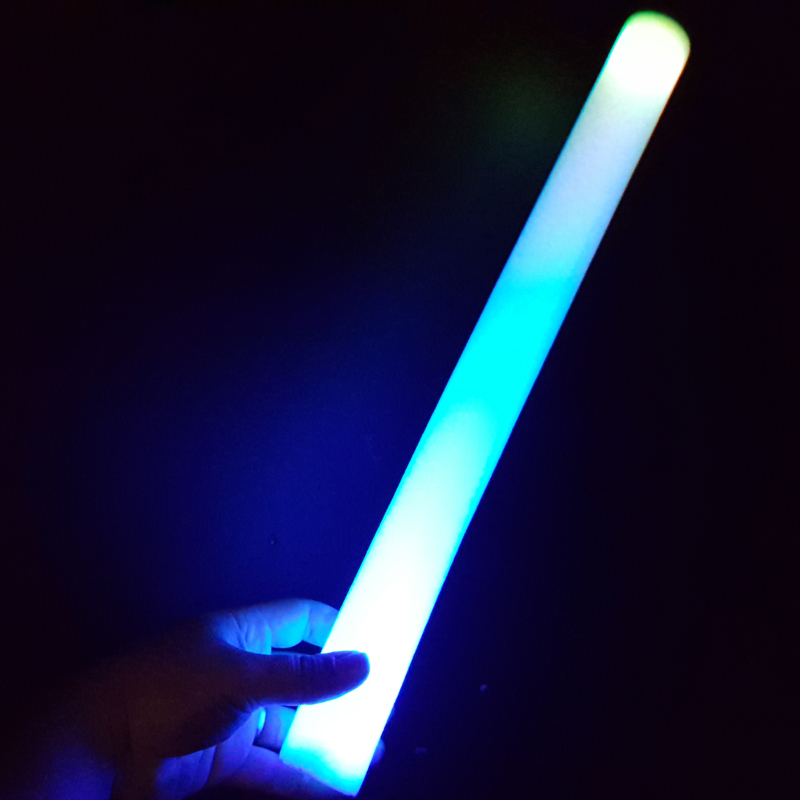 Foam Disco Stick | 6 Cool Light Phases! Cool Lighting Effects, Soft and Squishy! Fun for any night event. Bend it, throw it & swing it around..
With the Foam Disco Stick you'll amaze your friends with all the cool lighting effects you can make at your next birthday party or night event. Switch it on and watch as it changes from a white foam tube to a super cool LED light show. Simply remove the battery tab from the bottom of the tube, press the button next to the battery compartment and repeat this process to move through each different light phase! You can bend it, throw it and swing it around without hurting any other party goers, and all eyes are sure to be on you and your awesome party moves! Made from flexible, lightweight polyethylene foam (just like a pool noodle). Requires 3 x LR44 watch batteries (included). Dimensions: 44cm (L) x 4cm (W).